WhatsApp is a cross-platform instant messaging service for smartphones that relies on the internet for the transmission of messages. Based on a low-cost subscription model, WhatsApp is a cheap alternative to carrier-billed text messaging via SMS. How many sending channels do they have ? What kind of route are they using to send there messages ? How many actual messages are been pushed ? The most important factor, are your messages been sent to your right target audience ? 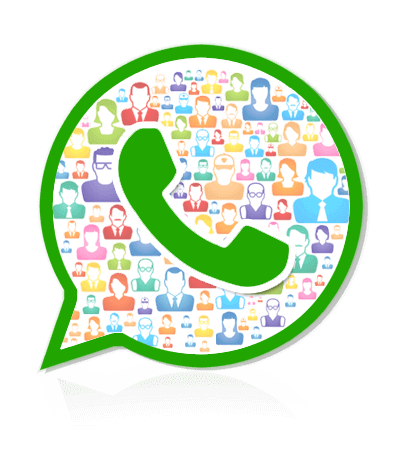 What makes us the best WhatsApp Marketing Company based in Mumbai and your reliable partner. We have more than 75,000 protected channels to push your messages. We push more than 10 lakhs messages per day. We have leading brands associated with us. We have mobile data with us based on pin code and other categorization. We only charge you for delivered messages.